Left. 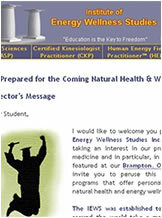 Ribbon-cutiting cermony for the Institute of Energy Wellness Studies in Brampton, Ontario, Canada. 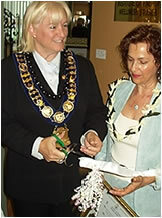 The Mayor of Brampton, Susan Fennell, cut the ribbon with Institute Director Dr. Sabina DeVita. 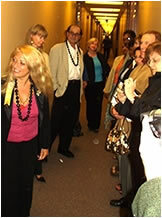 The Institute includes an EESystem and offers federally recognized degrees in Energy Medicine which includes professional training in Natural Medicine. Center. Sandra was present at the event. Right. More information about the Institute can be found on their website. Click HERE.